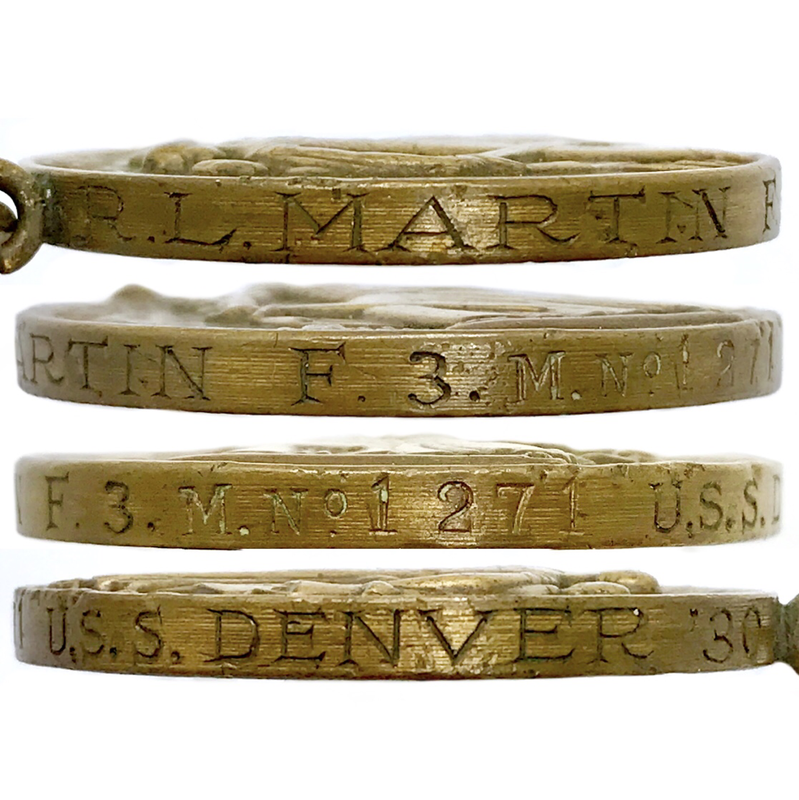 ​"Robert L. Martin F.3. U.S.S. Denver '30"
Nicaragua 1926On 10 October 1926, a landing force, consisting of 6 officers and 103 men, under the command of Commander S.M. 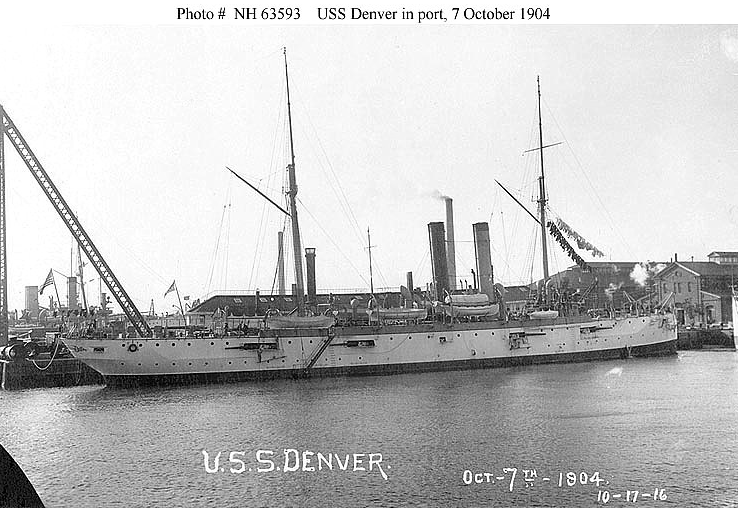 La Bounty, U.S. Navy, was landed from Denver, at Corinto, Nic., to establish a neutral zone in order to protect the American and foreign lives and property. 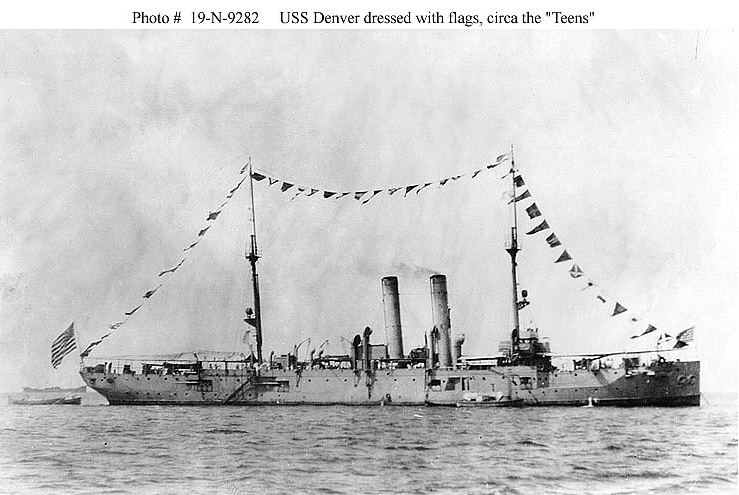 This force returned aboard ship on October 27, 1926. 30 November 1926, a landing force, consisting of 8 officers, 50 bluejackets and 58marines, under the command of Commander La Bounty, U.S. Navy, was landed from Denver at Bluefields, Nicaragua. On December 27, 1926, an additional force of 17 marines was landed at Bluefields. 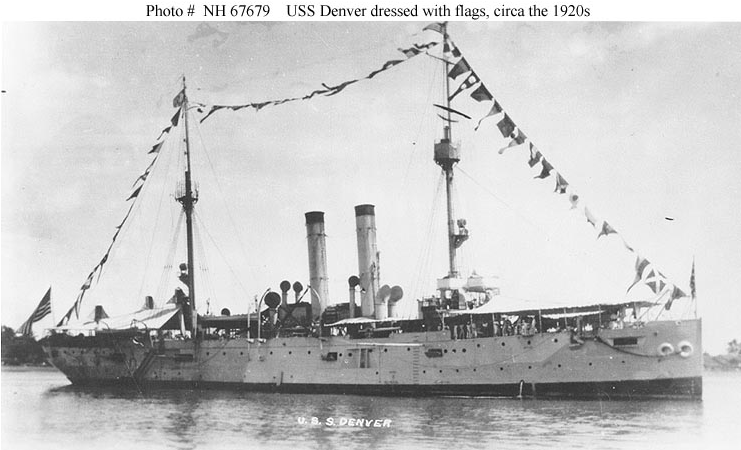 The landing force ashore at Bluefields returned aboard ship on June 15 and 16, 1927. On December 23, 1926, a landing force consisting of 2 officers and 95 men under the command of Lt. (J.G.) 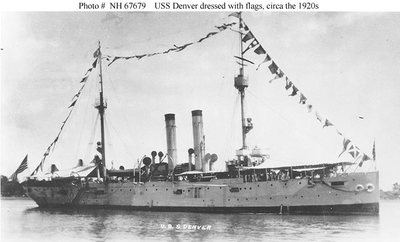 L. McKee, U.S. Navy, was landed from Denver at Puerto Cabezas, Nic., to reenforce the landing force of the USS Cleveland. This force returned aboard ship on the same day. 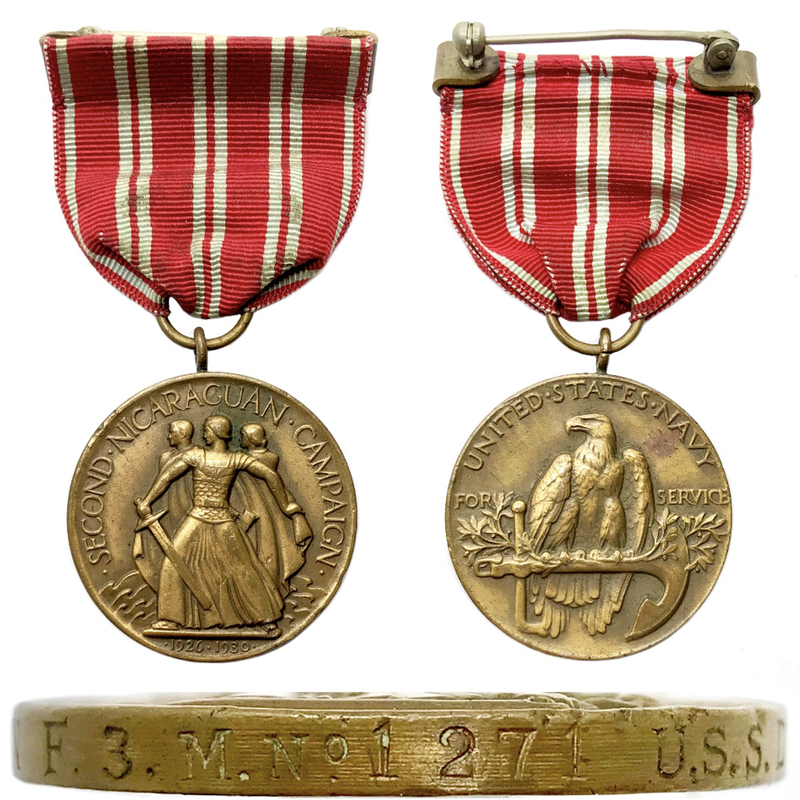 Crewmembers serving on her between various dates from September 1926 through October 1930 qualified for award of the Second Nicaraguan Campaign Medal.